So what are pH-adjusting toners? The goal of the pH-adjusting toner is to get your skin’s pH lower than normal (and lower than it would be after cleansing–even if you are using a low-pH cleanser) so that acids can do more during their brief window of effectiveness. Basically, these toners lower the skin’s pH slightly, allowing the real actives to work better than they would in a higher-pH environment. Think of it as a way to prepare your skin for exfoliation/vitamin C.
BOTTOM LINE: For the most part, any time I use a pH-dependent active (like acids or vitamin C), I will use a pH-adjusting toner beforehand. I’ve included some of the more popular pH-adjusting toners in this post, but are certainly others out there. Usually (but not always) they will have some type of acid featured in the name (like BHA/AHA/Lactic/Mandelic) and then it will be called a Toner. Generally, you’ll find that they contain AHAs or BHAs. Usually you want to aim for the pH to be around 4.0 (and ideally less than 4.5). I love this toner mainly because it is non-irritating and my actives (BHA/AHA/Vitamin C) all seem to work better after I use it. I actually like to decant this and put it in a spray bottle. I spray it on my face and then wipe it off with a cotton pad. I won this through a giveaway, otherwise it would have never been on my radar. Cost: $19.99 for 7 oz. ($2.86/oz). I don’t reach for this as much as I reach for the Mizon, but I still think this is a good toner. 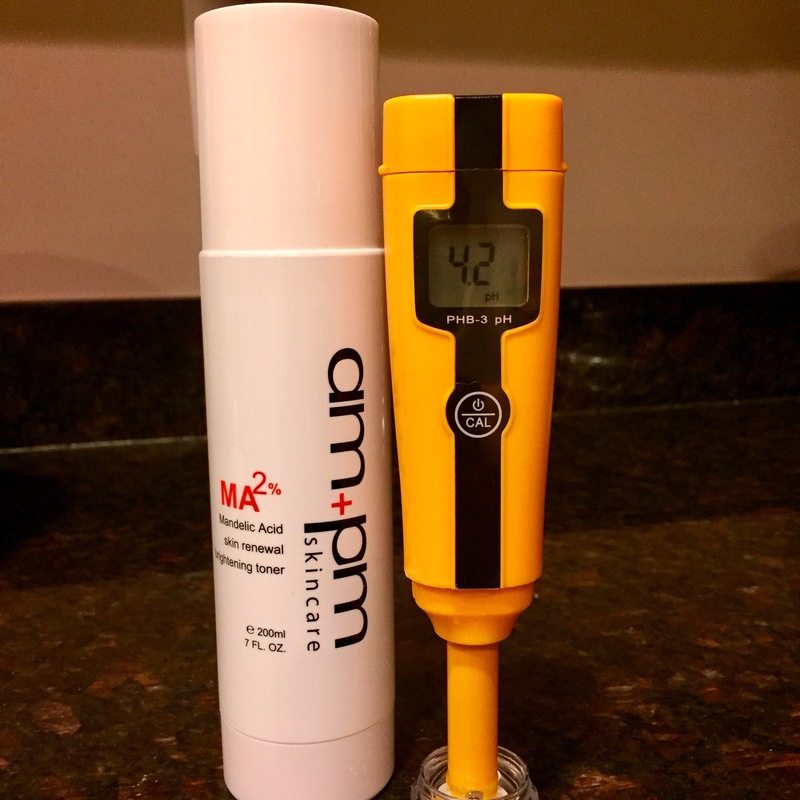 Whenever I use pH-dependent actives (BHA/AHA/or Vitamin C) I will use one of these beforehand so that my active doesn’t need to work as hard to get down to the right pH. 👉If you have dry skin, you may want to avoid these. I have oily/combo skin so they aren’t too drying for me. But if I am not using a pH-dependent active, I will use a hydrating toner rather than one of these. 👉If I use an acid that is already strong on my skin, I will skip this step because using the pH-adjusting toner will likely make that acid even more potent. 👉When I have an acid that DOESN’T seem to really be working, using a pH-adjusting toner beforehand has helped to bump up its effectiveness. 🏆This is the main reason I incorporate a pH-adjusting toner. 🏆My acids and vit C just seem to work better when I use one of these toners first. For example, I had one AHA that I thought was a complete dud before I started to use Mizon before it. Even if you don’t use a chemical exfoliator you may still want to incorporate a pH-adjusting toner into your routine. 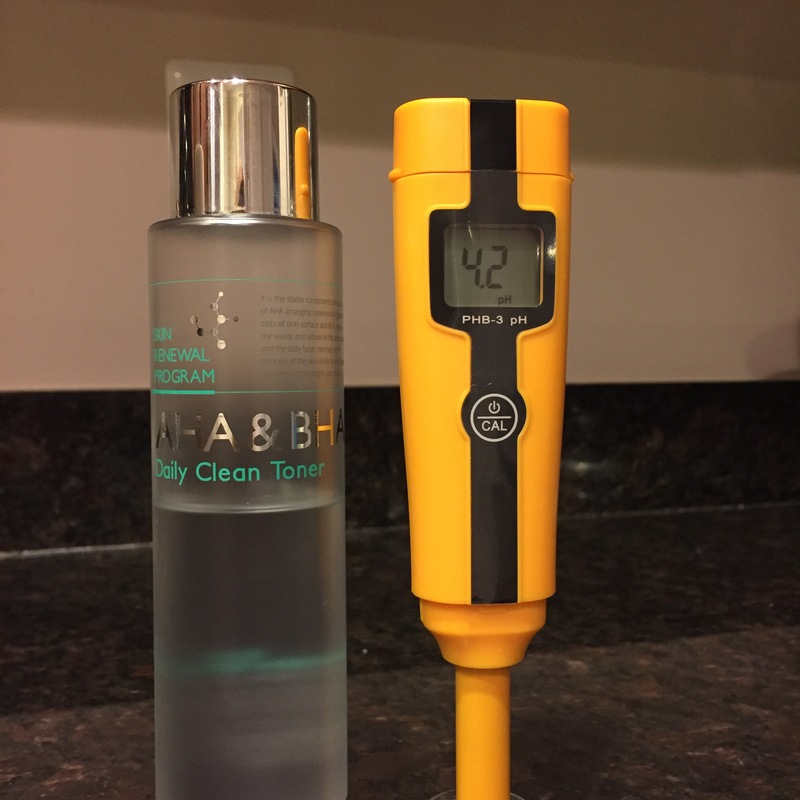 This is especially true if you are using a cleanser that has a higher than ideal pH (meaning, higher than pH = 5.5). If this situation the pH-adjusting toners can be great to bring your pH back down for optimal skin function overall. This is one of the most popular pH-adjusting toners, but it can be a bit strong given its lower pH level. So the Mizon might be a better choice for people that want to try out a pH-balancing toner for the first time. Posted in Cleansers, Toners and tagged ph-adjusting toner. Bookmark the permalink. These posts are so full of info. Thank you. I learned a lot! What are your thoughts on organic apple cider vinegar(mixed with equal parts purified water) being used as a ph adjusting toner? Ive heard yes and no on this one. Ive been using it for a while so im hoping its effective. Recently started following you on instagram and loving your content!! So informative. Is it OK to use one of these toners and then a strong acid toner? Is that too much on the skin? Thanks! You should experiment with it. It may be too much for your skin. But, for example, I had a 14% AHA that just wasn’t working for me. And then I used a pH adjusting toner and it finally started to show results. But for some other acids that are working efficiently, using a pH adjusting toner beforehand can lead to irritation. So you have to play with it! I wonder if there are any pH adjusting toner with no BHA. You should try the Naruko one! There isn’t any BHA, it has mandelic acid, which is an AHA which has also been found to be good for those with acne-prone skin. Wow! Thank you so much for the explanation that I can understand lol you’re a savior!